Home CropsCassava	Guerrilla Gardening for Survival: Possible? C asks asks about guerrilla gardening for survival and wonders which plants might survive in the wild without much care. Sounds straightforward – until you find out where she lives. Hoping all is well with you and yours. I would like to present a question or 3 and see if maybe you can assist me. I’m not finding a whole lot on the true guerrilla gardening. I will try to explain. It is really more of a survival type of gardening. The way I always understood guerrilla gardening was when living way out in the sticks with basically a tent, cave or some other type of shelter. Taking seed out and making small little gardens sometimes a couple miles apart. Always around rivers, steams or other constant water source in case you can not keep it watered at all times and preferably vegetables that nature takes over and they just keep coming back every year. Spuds is a prime example of that and plan to test carrot this year if I can. I think peas will come back also. When the pods dry out and hit the ground. If animals don’t get them first. I know for fact if I leave a potato in the ground it will sprout up all by itself the next year. Even after tilling the soil and planting something else there. Wonder if beets will come back also. There are certain foods I would love to have out there. I’ve babbled enough, on to the question(s). If you don’t already know, can you help me find out what type of vegetable will easily go to seed and start growing all on their own the next year. When I move out there again, I can’t live on just potatoes and fish and what few berries I find this time. I need a little better diet this time around. Because I do not plan on coming back to society after a year or so this time out. Let’s see if I can be of some help. Though I have no experience in Montana, I do have some guerilla gardening cred. I have grafted peaches onto wild plums growing on the roadside and planted loquats and yams in empty lots, as well as stuck cassava canes behind a Ft. Lauderdale foreclosure. Yet one big problem with guerilla gardening in the wild for survival is that most food plants simply don’t want to produce much, if anything, without care. Before we get into more common species, let’s look into foraging what may already exist, plus expand the population of those edible plants if possible. 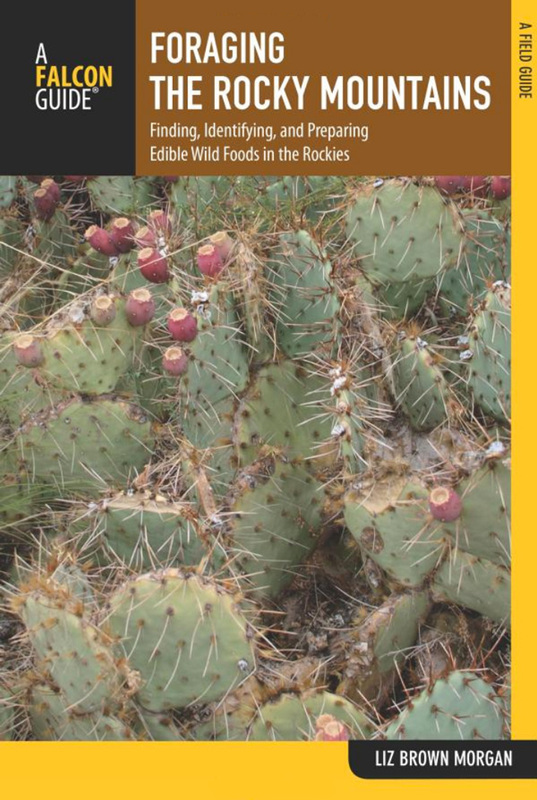 The first thing I did when considering C’s question is to look up which native plants in Montana are edible, since native species will often do better than cultivated varieties. 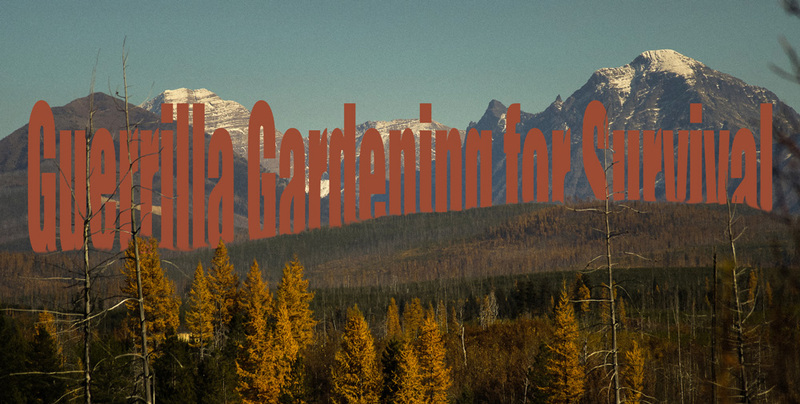 There is a site dedicated to info on Montana plants which looks like a good resource, though you have to pay for access to the complete database. 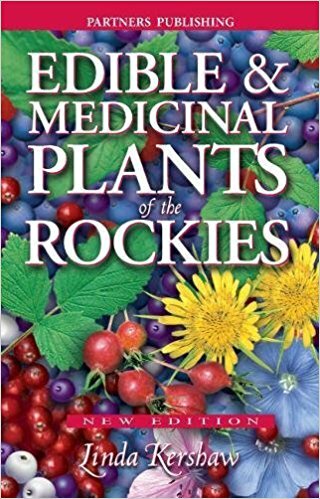 There are also multiple books on wild species, including Linda Kershaw’s Edible and Medicinal Plants of the Rockies and Foraging the Rocky Mountains by Lizbeth Morgan. 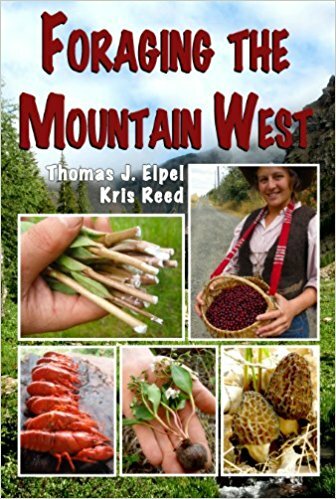 Thomas J. Elpel and Kris Reed also have a guide titled Foraging the Mountain West: Gourmet Edible Plants, Mushrooms, and Meat. If I lived in Montana, I’d do the same thing: I’d start a collection of local plant foraging books and learn the species which were already available. How does this relate to guerilla gardening? Once you know what grows wild, you can encourage more of it. I would collect seeds of edible species and scatter them when I lived in Florida. I would also identify locations where good edibles grew and watch the area. These chanterelles grew in a 3-acre lot behind my house in North Florida. They appeared around the same tree, year after year. When I harvested, I made sure not to over-harvest. If possible, I would encourage the populations by spreading them to similar locations. I buried mushrooms in the mulch around my yard and scattered their spores everywhere. 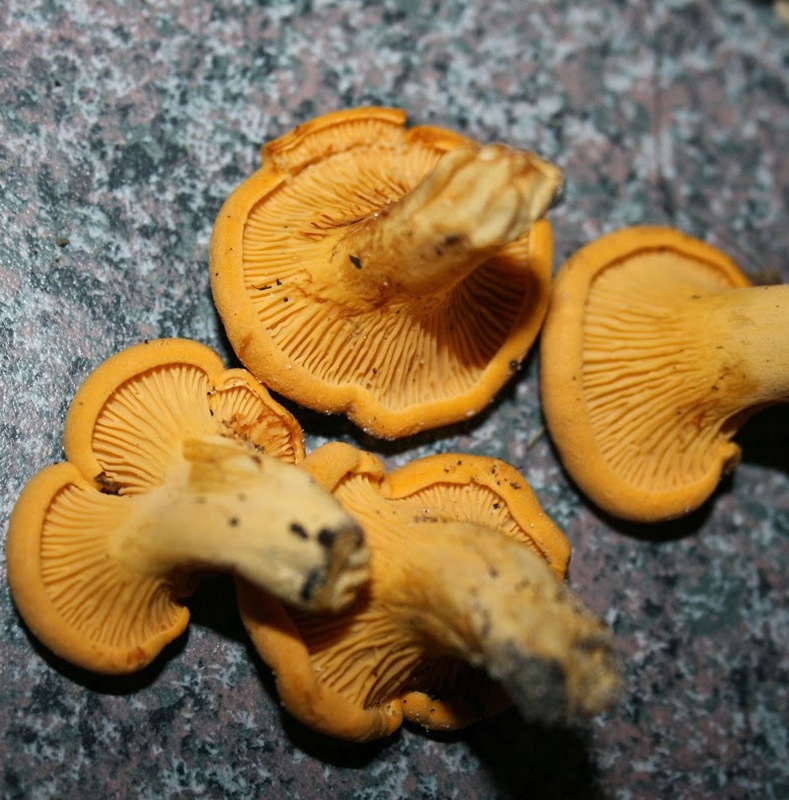 Ponds are a good place to hunt and… encourage… wild edibles. Cattails are a well-known food source, but duck potatoes may be even better for survival and they also grow in Montana. Weeds – particularly vines like bindweed – can overrun plants rapidly without a gardener working his magic. Deer, rabbits and other wildlife can take out wild-planted crops in moments. C notes this issue. The deer, bears, etc., will come! It’s a wonder anything survives. Nature is mean. Almost every plant you see is the one survivor out of thousands or millions of seeds and seedlings that didn’t make it. Dandelions scatter thousands of seeds for the few dozen that pop up in your lawn. Maples drop buckets of whirling seeds and scant few find good growing conditions and survive to adulthood. She’s already experimenting with potatoes and beets, which is good. Keep experimenting and experimenting with everything you can find and test. 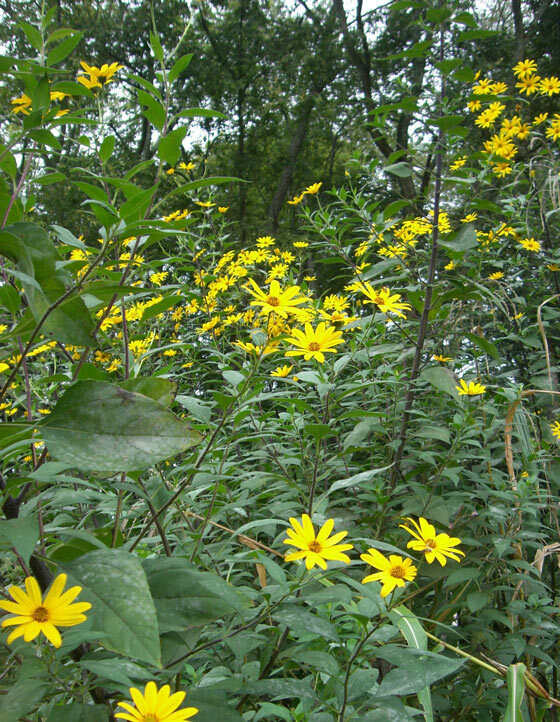 One option I know that will establish in the wild is Jerusalem artichokes. They will continue to grow for years and years and can survive lots of cold. I don’t find them to be particularly digestible, though. Your mileage may vary. Jerusalem artichokes create an abundance of tubers with almost zero work. Growing trees in the wild is a good idea, but I would add nuts along with the fruit. Permies.com has a thread on nut-growing in Montana which contains useful info. It’s going to take a long time to get fruit or nuts, especially in Montana’s climate, but I still think it’s worth planting them. I would also research what the Indians did and how the early settlers survived. Personally, I think if you really want to grow enough calories, you’ll have to have one garden for a kitchen garden which is highly tended and protected, then grow and test guerrilla gardens outside of that. Planting a guerrilla garden for survival may be possible, but it’s hard to pull off. The cassava I planted behind a foreclosure eventually died without giving me anything. The yams in the empty lot stayed alive but didn’t give me usable roots the first year, then I moved so I don’t know how they turned out. the guerrilla grafted peach is probably eaten by plum branches at this point. It ain’t easy. Good luck. Guerrilla Gardening and Foraging for Survival. Sounds like the title of your next book David. I for one would buy the first paper copy! Anybody else want to see this idea happen? I do have a book like that planned. Tactical Gardening. One day I’ll actually write it! I personally disagree with grafting plants, but this is otherwise good advice!